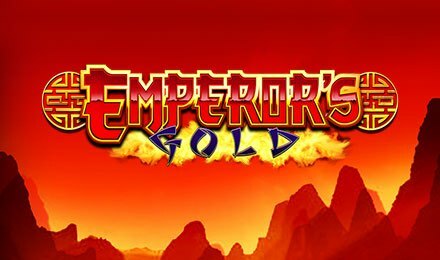 Emperor’s Gold slot by Scientific Games is yet, another amazing oriental themed slot, which features 5 reels and 10 paylines. The 5x3 reel is set in the middle of a dark red landscape, where mountains can be seen on the reels of Emperor’s Gold slot. Enjoy the main feature of the game, which is the Free Spins Bonus, awarding you up to 20 free spins to play! On the reels, watch symbols like: Emperors, Empresses, Pandas, Temples, Tigers, Lanterns, J, K, Q and A come together to form winning combinations! To enjoy Emperor’s Gold slot, first adjust your bets to your liking. This can be done on the Stake/Line Field. Then click on “Spin” to get the reels spinning. Autoplay is at hand, and lets you set the game to auto by setting a number of automated spins to play. Amount of Paylines Selection: 10 paylines are fixed and can’t be changed. Coin Values: Stakes range from £0.01 to £500.00. The Dragon takes form of the wild symbol, which replaces all other symbols bar the scatter. Wild lands on reels 2, 3 and 4 only. The scatter symbol is the Firecracker symbol, and this triggers the bonus round of Emperor’s Gold slot. The bonus round of this slot game is the Free Spins Bonus. This feature is triggered by landing scatter symbols anywhere on the slot grid. Three, four or five scatter symbols award 12, 14 or 20 free spins respectively. Land more of these symbols during the play of the feature and receive extra spins! Option Two - 5 Spins + Expanding Wilds that lock into place. Option Three - 5 Spins + Expanding Wilds that lock into place, Free Spins and more! Enjoy Emperor’s Gold slot at Vegas Spins Casino on your mobile, desktop or tablet! Stand the chance to enjoy innovative and rewarding features on these 5 reels and 10 paylines. Enjoy new releases almost every week, which all come designed with a unique theme, bonus rounds, features and gameplay!